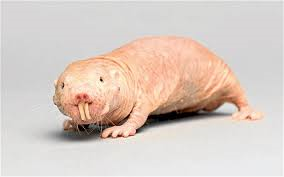 I was standing at the sink washing some dishes one day, thinking of obscure titles for stories, and I came up with one that sounded awesome: The Righteous Indignation of the Naked Mole Rat. It took a few days, but I came up with a story to go with the title and wrote it in 3000 words. You can now read it on line at Domain SF.